"Roy Harris's Symphony No. 3 is a work written in 1939 and premiered by the conductor Serge Koussevitzky. Harris wrote this symphony on a commission from Hans Kindler but he gave it to Serge Koussevitzky instead (Stehman, 1984). It has been described as "the quintessential American symphony" (Canarina, 1993) and "the most widely performed and recorded of all American symphonies"
Canarina, whose writing I admire very much, must be grossly mistaken about the Harris Symphony No. 3. Not being a Harris fan, I have listened to it only on a couple of occasions over the last decades. I am, however, a great admirer of Koussevitzky. Currently on one site, seven recordings of Harris's 3rd are available with four conductors: Alsop, Bernstein, Neeme Jarvi, and Mata. The labels include Chandos, DGG, Naxos, and Sono Luminus. I have the Koussevitzky recording of it andI also have a live recording with Toscanini." "The most frequently recorded symphony?" I highly doubt it. I have been to innumerable symphony concerts and have never heard the work performed live. Lenny, how many recordings of the work are you interested in obtaining? lennygoran wrote: It has been described as "the quintessential American symphony" (Canarina, 1993) and "the most widely performed and recorded of all American symphonies" (Butterworth 1998, 84). Certainly that was true when I was growing up. Its only rival among well known American symphonies was Copland's #3, which came years later. Both are in what's been described as the American nationalist style, though Harris doesn't actually quote folksongs, so Canarina's description of it as an American symphony is on the mark.. The symphony's success was immediate. Koussevitzky and the Boston Symphony recorded it for RCA Victor right after the 1939 premiere, and Toscanini performed it with the NBC Symphony Orchestra the next year, though he played hardly any American music. Whenever I heard an American symphony on the radio in the 1950s and 1960s, it was Harris 3. (One of its advantages in getting programmed is that it is quite short, less than 20 minutes in one movement.) It's less often heard these days; the last performance by the New York Philharmonic was in 2003 under Lorin Maazel. But even so, I don't know of any other American symphony that is more widely performed. I would say that Copland III is a better work and more widely performed nowadays, but, unlike JohnF, I have no facts or figures to beck up my intuition. Amazon gives 20 pages to listings for Copland III, and only 14 pages to Harris's Third, if that's any indication. There is a full discussion of Harris's Third here. 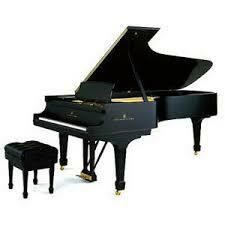 I like Bernstein's Sony rec c/w Diamond 4 and Thompson 2. Last edited by jserraglio on Sun Nov 20, 2016 2:27 pm, edited 1 time in total. Well, maybe I missed the mark on this. I just know what's available these days insofar as "new" or "available" recordings of the work is concerned. Being the Romanticist that I am, it is probably my own fault I have not found favour with the work, brief as it is. maestrob wrote: I would say that Copland III is a better work and more widely performed nowadays, but, unlike JohnF, I have no facts or figures to beck up my intuition. Amazon gives 20 pages to listings for Copland III, and only 14 pages to Harris's Third, if that's any indication. For what it's worth, the Copland was most recently performed by the Philharmonic in 2008 under guest conductor Michael Christie. The last Philharmonic music director to conduct it was Bernstein in 1985. Lance wrote: Lenny, how many recordings of the work are you interested in obtaining? This work would be languishing in obscurity were it not for the efforts of Alsop & Jarvi. It's about two decades overdue for a new recording. It boasts one of the true "ringers" among symphonic themes (i.e., the one used as the basis of the fugue--the supposed "third" movement out of "five"). The Third was one of the landmark 20th-century works we undergrad sophomores had to familiarize ourselves with (I'm talking '79), but there were only two discs in the music library, Hendl's & Bernstein's. It'd be great if it really is still more highly regarded in the rest of the world! From my perspective, the Wm.Schuman 3rd and the Hindemith E Flat symphonies are two works written in America during the same period that are superior to any of the aforementioned works. Len, check both these gems, both recorded by Bernstein and the NYPhilharmonic and I'll bet you'll agree with me. "In 1947 Leonard Bernstein, whilst performing the work in Israel removed some 12-bars from the fourth movement without Copland's consent. Later on, the composer agreed to these cuts, which were incorporated in the 1966 edition published by Boosey & Hawkes. However, in June, 2015, B & H published a new performing edition in which the cuts have been restored to conform with original manuscript dating from 1946. There is presently no commercial recording featuring the restored bars." arepo wrote: From my perspective, the Wm.Schuman 3rd and the Hindemith E Flat symphonies are two works written in America during the same period that are superior to any of the aforementioned works. William Schuman, Symphony No. 3, Ormandy/PO 1951 Columbia ML 4413. As for the Hindemith E Flat symphony I don't have it but it's available at youtube. 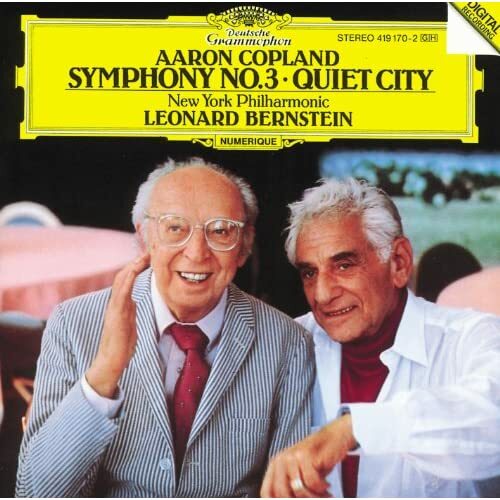 lennygoran wrote: "In 1947 Leonard Bernstein, whilst performing the work in Israel removed some 12-bars from the fourth movement without Copland's consent. Later on, the composer agreed to these cuts, which were incorporated in the 1966 edition published by Boosey & Hawkes. However, in June, 2015, B & H published a new performing edition in which the cuts have been restored to conform with original manuscript dating from 1946. There is presently no commercial recording featuring the restored bars." As for Copland 3, I expect it will be a long time before the new edition supersedes the earlier one, which many orchestras have in their libraries in full score and parts. Indeed, that may never happen. The 1966 edition was overseen and approved by Copland, not long after recording the symphony in 1959, while in the new one, Copland being long dead, an unnamed editor has second-guessed not only Bernstein but the composer. When we hear it, if we ever do, we may well agree with Copland that Bernstein was right. The Boosey & Hawkes web site provides a fuller account of all this, and being the publisher they justify it as best they can - though with no reference to the composer's own intentions or actual performance practice. Yes, Schuman 3 is a great work...Copland 3 and Harris 3 are very good, tho...also - Hanson #3 is his best, IMO. very strong work. My favorites for the Schuman are Bernstein/NYPO I, '60, and Slatkin/CSO '86 [Archive set - CSO in 20th Century]. Both are powerful accounts, wouldn't want to be without either. The Third Symphony was the first piece by Copland I heard, as a teenage classical music nut. 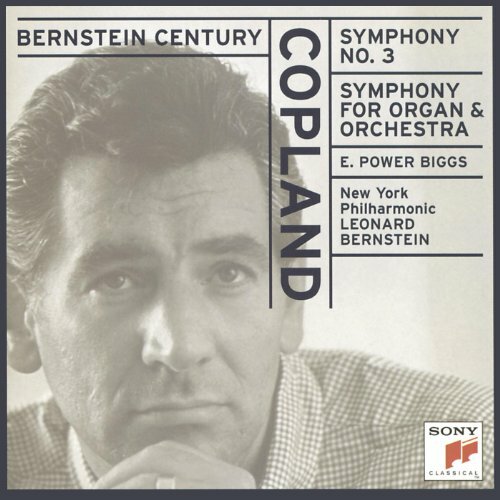 It was Bernstein's first recording, and it's always been my favorite Copland work, and my favorite American symphony, perhaps because it was my first encounter with Copland and American symphonic music. I came to it unburdened by the knowledge that Fanfare for the Common Man was a warhorse. To me it was just this exciting thing that the slow movement led into and the finale grew out of. I heard it performed by Leonard Slatkin during his last season with the National Symphony. He used the original longer coda too, which I didn't think added anything to the piece except length. It's out of character with Copland's usual succinct writing, so I think Bernstein was correct. I've heard many people ridicule Roy Harris, and maybe his later works merit ridicule, but he seems to have done something right in his 3rd Symphony. Anyway, I'm glad to see American symphonies being discussed here. Harris's 7th symphony, from the early 1950s, was well enough thought of that Eugene Ormandy performed it in Philadelphia, followed by a recording on Columbia Records. He remained all-American to the end, long after musical Americana went out of fashion; he composed an Abraham Lincoln symphony in 1965 and a choral Bicentennial Symphony in 1976. Apart from the 3rd and 7th, I haven't heard any of his other symphonies, but Marin Alsop appears to have been recording them all for Naxos with various orchestras. Nothing to ridicule in this symphony, although it doesn't make as strong an impression on me as the 3rd on first hearing. That may change with more listenings.